Tiny oil-rich nation issues statement pleading "peace" and “respect". k,ukkukBrunei has defended its decision to pass a new Islamic (Sharia Penal Code) law introducing the death penalty for adultery and homosexuality. The government issued a statement saying it was an independent country and had the right to do as it wished. Brunei said the new law will come into force on 3 April. The tiny Muslim-majority country received worldwide condemnation last week after it announced plans to introduce the new law and George Clooney led a call to boycott Brunei-owned hotels. Brunei has defended its decision to pass a new Islamic (Sharia Penal Code) law introducing the death penalty for adultery and homosexuality. The government issued a statement saying it was an independent country and had the right to do as it wished. Brunei said the new law will come into force on 3 April. 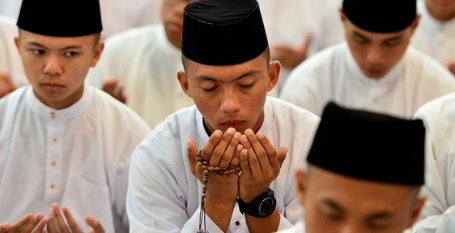 The tiny Muslim-majority country received worldwide condemnation last week after it announced plans to introduce the new law and George Clooney led a call to boycott Brunei-owned hotels. And we have the right to not buy their oil. Unfortunately, that decision is in the hands of oil company executives who have the "right to do as they wish," and we can bet that their decision will not be influenced by human rights issues. Exports from Brunei increased by 27 percent year-on-year to 952.6 million in January 2019, mainly led by mineral fuels (24 percent), chemicals (54.4 percent), machinery and transport equipment (144.9 percent), and manufactured goods (163.6 percent). It has always amused/bemused me, how governments and religious bodies have sought over the ages to legislate against personal and private behaviours of individuals to somehow protect those individuals from themselves and of course maintain/raise the moral tone of their societies. Now... if only there was some form of legislation available to protect us all from the, regressive, backward looking cruel and inhumane medievalists that still walk amongst us in the 21st century. Time may move inextricably forward, but it is a march that has left the narrow minded and foolish behind.